Built on the site of an Etruscan settlement, Florence, the symbol of the Renaissance, rose to economic and cultural pre-eminence under the Medici in the 15th and 16th centuries. Its 600 years of extraordinary artistic activity can be seen above all in the 13th-century cathedral (Santa Maria del Fiore), the Church of Santa Croce, the Uffizi, and the Pitti Palace, the work of great masters such as Giotto, Brunelleschi, Botticelli and Michelangelo. I didn’t know a lot about the Historic Centre of Florence before I arrived, other than it was the seat of the Renaissance. I found it to be my favorite city in Italy. 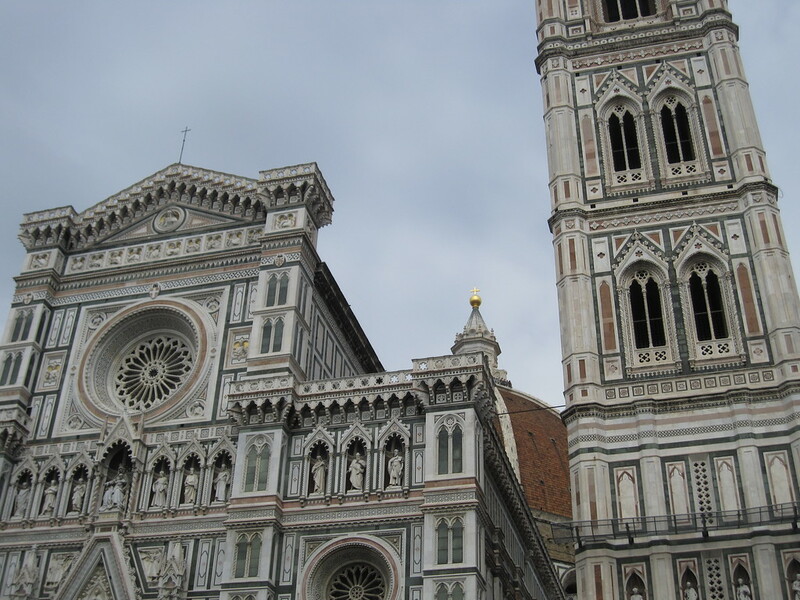 The single most recognizable feature of the skyline is the Florence Cathedral. It was at the time of its construction the largest dome in the world. I took this photo from across the river using a zoom lens. In 1982, the Historic Centre of Florence was added to the list of UNESCO World Heritage Sites in Italy. This medieval city is enclosed within a wall that aided in the preservation of many unique architectural, historical and cultural features of the city. Florence is one of the most popular Italian cities for tourists, as well. The historic center is part of the quarter that makes up Florence, which is also the part that was recognized by UNESCO for its artistic and architectural value. Florence has also become a symbol of the Renaissance period in Italy, especially since it was established at the site of the former Etruscan settlement. Meanwhile, it flourished economically and culturally in the 15th and 16th centuries. 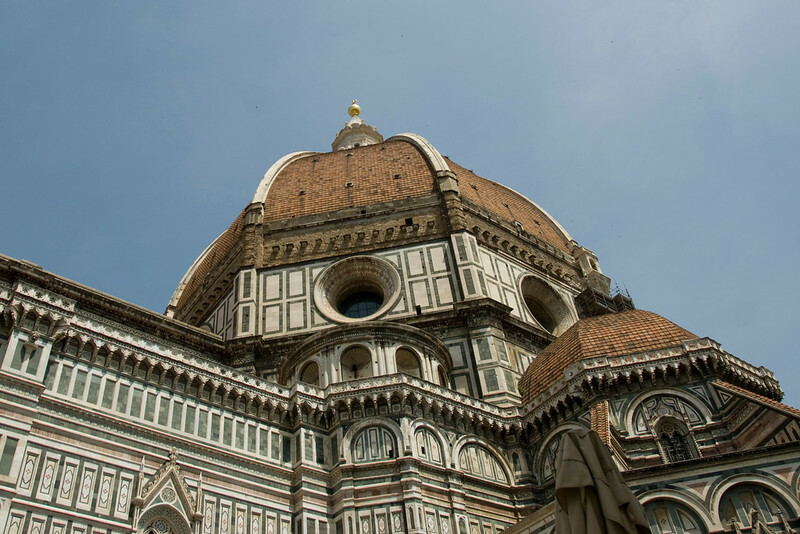 For more than 6 centuries, it experienced extraordinary artistic activity that is evidenced by the 13th-century churches and cathedrals, among other structures in Florence. These were the creation of various notable artists including Michaelangelo, Giotto, Botticelli, to name a few. The Historic Centre of Florence is enclosed within the old medieval walls that surround this part of the city. The area is noted by UNESCO for its important collection of cultural heritage sites. During the 14th century, the walls were built during the time of the height of its economic and commercial power. The walls also exhibit the splendor that Florence enjoyed during that time period. The Basilica of Santa Maria del Fiore and its towers are larger than life structures that dominate the historic center of Florence. The cathedral features a classical Gothic style architecture and is designed by Arnolfo di Cambio. The cathedral was constructed in 1296 and was completed nearly two centuries later in 1436. Meanwhile, the dome of the cathedral was designed by Filippo Brunelleschi. The façade of the cathedral is made of polychrome marble panels that come in various shades of green and pink with a white border. The level of detail in the exterior decoration of the basilica is one of the many lauded features about it. The Basilica di Santa Croce, also known as the Basilica of the Holy Cross, is Florence’s main Franciscan church. In fact, many believe that the church was founded by Saint Francis himself. The basilica is located within a few minutes from the Duomo although when it was first established, it was located outside of the old city walls. There are also several famous personalities that were buried in the basilica. Tourists continue to line up to get inside the Uffizi Gallery making it one of the world’s most famous museums. It is no surprise why – this is home to some of the greatest masterpieces in the world. The museum first opened its doors to the public in 1765 and since then the interest for the museum never waned down. Florence, like most of Italy, might be famous for its food and wine. 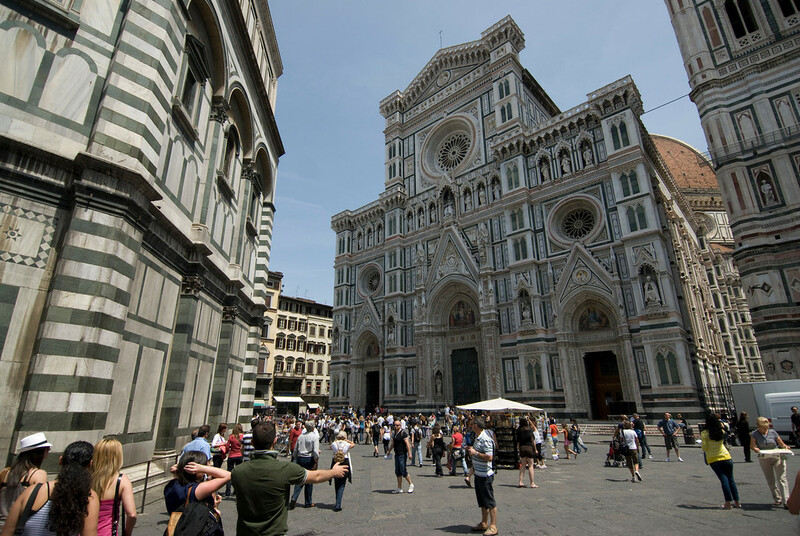 But when in Florence, you should also check out its many museums, concerts and sports events. Check out the sunset in Arno. Explore the world of agrotourism in Florence; it is one of the best ways to fully appreciate Florence and its culture. If you love to shop or dine, head to Piazza della Repubblica. This site has the collection of the best outlet shops and cafes in Florence. Check out the bronze boar fountain of Porcellino Fountain. This is one of the most distinctive landmarks in Mercato Nuovo District. I too was surprised how much I liked Florence. It was so walkable and compact. The ornate architecture and rich history blew me away. LOVED the Santa Croce basilica. Absolutely stunning pic, Gary. 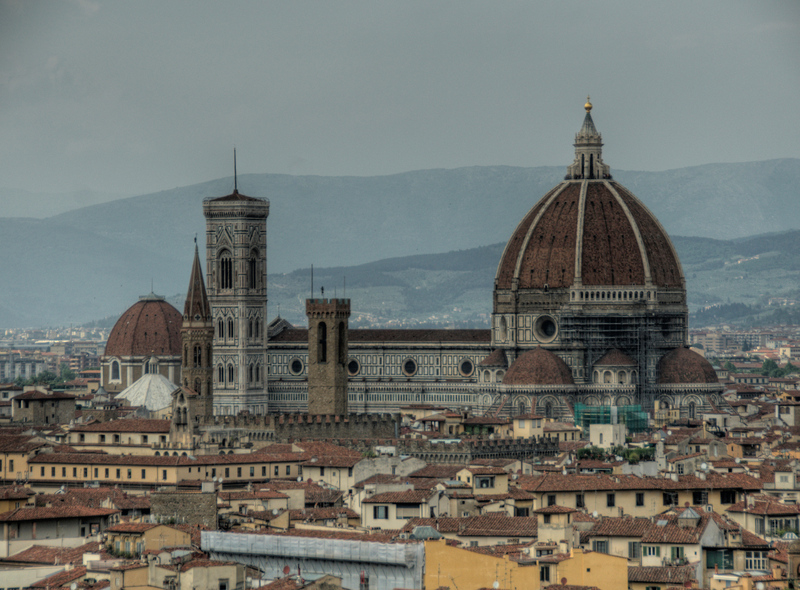 Now climb up the many stairs to the top of the Duomo and have another great view of the city. The claustrophobic climb to the top is well worth the effort and great for photographs. I saw a doco on the construction of this church, fascinating. One of the places I want to go to. You got up high for this shot, where did you take if from? I was surprised that I like Florence better than most major Italian towns. It is swarming with tourists but it is also a college town which meant it has a lot of available hostels and cheap eats.